Fixed-rate mortgages are the most widely used form of home mortgage loans. It is a basic arrangement in which the lender calculates principal amount, using a single interest rate, and then divides the sum equally over an agreed period of years. The most popular terms are 30-year and 15-year fixed-rate mortgages. The 30-year fixed-rate first spread across markets in the United States in the 1930s; it was an alternative to a standard balloon-payment mortgage. Other forms mortgage loans have variable costs. The adjustable-rate mortgage sets mortgage interest by an index formula. The benefit is that rates fall as markets fall, thus payments can fall. However, payments also can rise as markets rise. In recent decades in the United States, adjustable-rate mortgages have had lower long-term costs than fixed mortgages. Some mortgagers designed payment structures to help consumers enter into a purchase agreement by an entry level that differed from a later level. These tiered approaches helped young consumers in particular by using a graduated payment mortgages format. They begin at low payment levels and increase over time. The aim is to enable consumers to pay less until incomes and assets permit higher payments. The balloon payment mortgage is similar to adjustable plans because consumers pay a low rate until an agreed time. Then they must make a single large payment to retire the debt. This benefits persons who cannot or do not wish to pay large monthly amounts but can generate a single large payment. 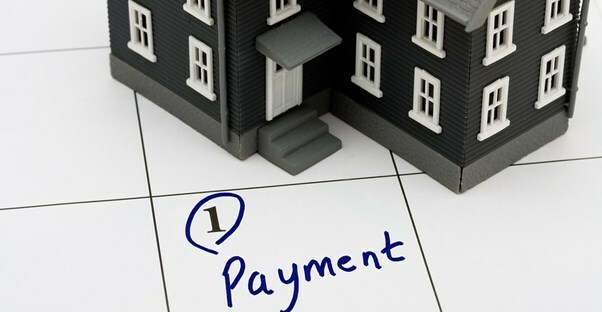 The interest-only mortgage uses the formula of low monthly payments and a large payment to close the debt. Why is a Fixed-Rate Mortgage Better? The advantages of a fixed rate mortgage are certainly costs, along with a definite and defined term for the loan. You can spread the fixed interest rate and principal evenly across the entire term of the mortgage. The term of the mortgage is definite, and consumers will not have concerns over the short-term upward movement of interest rates. Because the mortgage contract fixes terms, as long as payments remain current, you will not have to worry about changes in credit worthiness. Events or changed financial circumstances will not affect the terms of the contract unless specific provisions in the agreement address this issue. The disadvantages of a fixed rate mortgage are that you cannot take savings from lower short or long-term rates, and if your credit score improves, the rate will not change. These represent lost opportunities to reduce mortgage costs. Long-term mortgages are a commodity that you can package with similar financial instruments and trade on the securities markets. There is no guarantee that the initial mortgagor will remain on the contract for the entire term. Any qualified buyer can purchase mortgage notes, and consumers may wind up with a different mortgagor. From 2000-2008, a global financial crisis grew out of market practices related to rating and trading bundles of mortgage-based securities. This was an occasion for financial reform but also a stark reminder of the importance of mortgage lending to national economies.